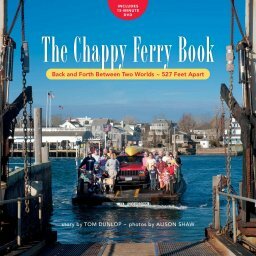 The Chappy Ferry on Martha\'s Vineyard - Year Round Ferry Transportation from Edgartown MA to Chappaquiddick Island. 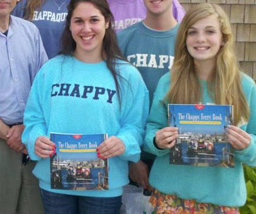 Chappy Ferry Gear is now available at Soft as a Grape. Click here to purchase. Off-Season: Off-Season: 6:45 a.m.--8:00 p.m., 9:00--10 p.m., 11:00--11:15 p.m. Passenger: $4 round-trip. Car and driver: $12 round-trip. Bike and rider $6 round-trip. Moped (includes operator): $8 round-trip. Motorcycle (includes operator): $8 round-trip. 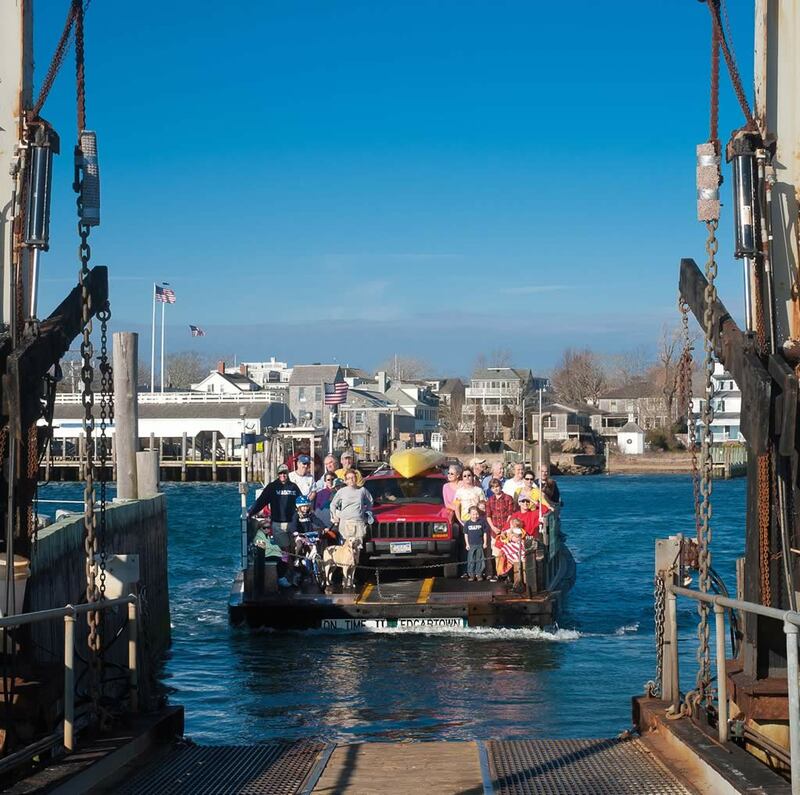 The ferry runs weather permitting. Put vehicle in park, set brake, shut off engine once aboard, and do not restart until directed by the captain or deckhand. At night, turn off headlights while waiting for the ferry. Passengers must sit once aboard and may not stand until directed by the captain or deckhand.